Why Should Dr. Kay Perform My Liposuction? Sometimes, no amount of diet and exercise is enough to get rid of certain stubborn pockets of excess fat. Liposuction surgery can safely and permanently remove fat cells from many different areas of the body to reveal a slimmer, smoother profile. 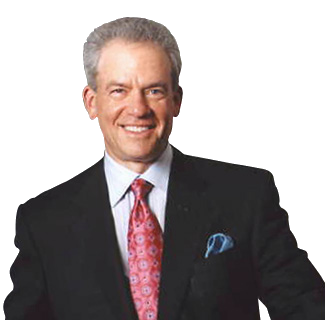 Recognized as one of the best plastic surgeons in the Bethesda-Chevy Chase metro area, Dr. Stephen Kay has helped thousands of women and men from Washington D.C. gain confidence in their bodies with liposuction. In addition to lipo, Dr. Kay offers a full range of body and facial cosmetic plastic surgery procedures for both women and men. Please contact us online or call our Chevy Chase plastic surgery practice at 301-951-5120 for more information on liposuction. While liposuction is not a weight-loss procedure, it can help your body look more toned and streamlined through the removal of fatty deposits. Liposuction can be ideal for candidates who are close to their target weight but have struggled to lose certain disproportionate pockets of fat that do not seem to respond to diet or exercise. Please visit our before and after photo gallery to see real patient results that are possible after liposuction. The costs associated with liposuction will vary depending on the type and extent of the procedure performed as discussed with Dr. Kay. Total costs will include Dr. Kay’s surgical fee as well as the fees associated with anesthesia and the surgical facility plus any necessary follow-up appointments. Dr. Kay and his staff are happy to explain all the available options for cosmetic surgery financing that can help make your liposuction even more affordable. 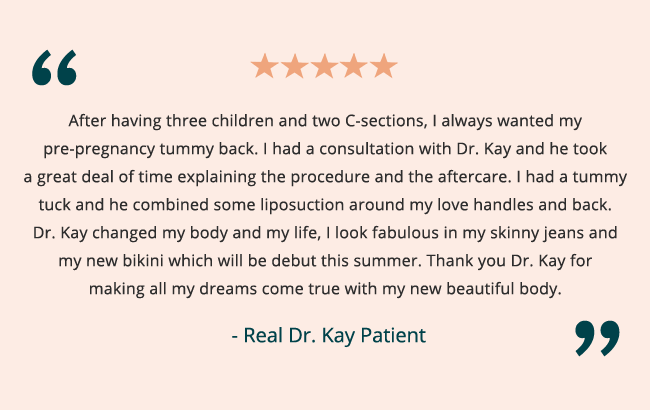 During your consultation, Dr. Kay will discuss your goals for liposuction with you, along with all the details of your surgery and recovery so you’re fully informed about what to expect. He may recommend combining liposuction surgery with another procedure such as a tummy tuck if you have significant loose skin around the belly in addition to excess fat. During your surgery, Dr. Kay may perform one of two types of liposuction techniques: tumescent liposuction and ultrasonic liposuction. With tumescent liposuction, a saline solution is injected into the areas where fat will be removed. This solution will contain a diluted combination of lidocaine, a local anesthetic, and epinephrine, a capillary constricting drug. The solution fills the fatty area and causes it to swell and become firmer, or tumescent, which allows Dr. Kay greater control when contouring the area. This technique provides local anesthesia to the area, helps prevents blood loss, and delivers fluid to the body so that no IV fluids are needed. After the solution is injected, a small incision in the skin is made and a small, skinny tube called a cannula is inserted, which is connected to a vacuum-like machine for fat removal via suction. Dr. Kay also offers ultrasonic assisted liposuction, which utilizes ultrasonic waves to help melt the fat before removal from the body. During this technique, a special cannula delivers high-energy sound waves to fat deposits, causing vibrations that rupture the walls of the fat cells and liquefies them before removal. Ultrasonic assisted liposuction may be performed in conjunction with tumescent liposuction. The recovery period for liposuction surgery is typically short, and many patients can expect to return to their daily activities and work within days, although your individual recovery time will depend on the extent of your procedures. Dr. Kay may advise you to wear a compression garment for up to a few weeks following surgery to reduce swelling and provide abdominal support. You will be able to see some of the results of your liposuction immediately after surgery, although swelling and bruising may be present at first. Over the following months, the skin will tighten over the areas where fat has been removed. Your final results should be visible around 6 months, when you can enjoy showing off your slimmer, trimmer physique. 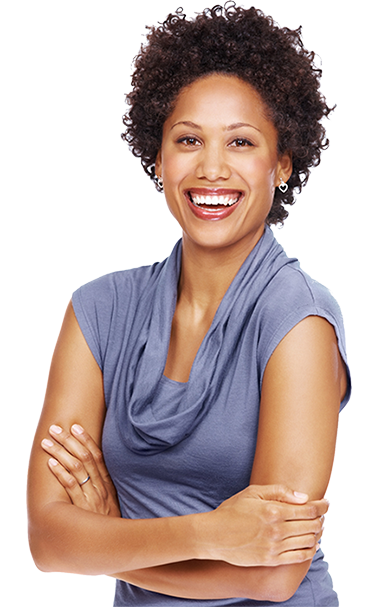 If you would like to learn more about a Liposuction procedure, you can do so here or by visiting Dr. Kay on RealSelf. 1 Why Should Dr. Kay Perform My Liposuction? 1.1 Is Liposuction Right for You?